Posted in CAME-ARGO, Instagram. Tags: 24-105mm lens, 3-axis, 3-axis gimbal, 3axis, 5dmk3, argo, argo gimbal, came gimbal, came-argo, came-tv, came-tv argo, came-tv gimbal, cametv, canon 24-105, canon 5Dmkiii, encoders, gimbal, Instagram, led, led ring light, ring light, tool-less gimbal on April 27, 2016 by CameAdmin. INSTAGRAM: @fabianrennerdesign getting some shots with his ‪#‎cametv‬ ‪#‎single‬ ‪#‎gimbal‬ and ‪#‎panasonic‬ ‪#‎gh4‬ + a ‪#‎lumix‬ 12-35 lens! Posted in CAME-Single, Instagram. 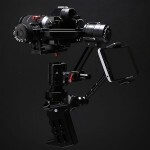 Tags: 12-35, 3-axis, 3-axis gimbal, 3axis, basecam, came gimbal, came-single, came-tv, came-tv gimbal, cametv, encoders, gh4, gimbal, Instagram, lumix, Lumix 12-35mm, panasonic, Panasonic Gh4, portable gimbal, single, tool-less gimbal on April 26, 2016 by CameAdmin. 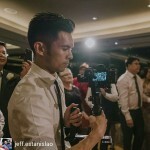 INSTAGRAM: @pjfonline’s ‪#‎cametv‬ ‪#‎mini2‬ ‪#‎gimbal‬ setup with his ‪#‎panasonic‬ ‪#‎gh4‬, ‪#‎lumix‬ 14-42mm lens and two ‪#‎Gopro‬ ‪#‎hero4‬’s! Posted in CAME-Mini 2, Instagram. 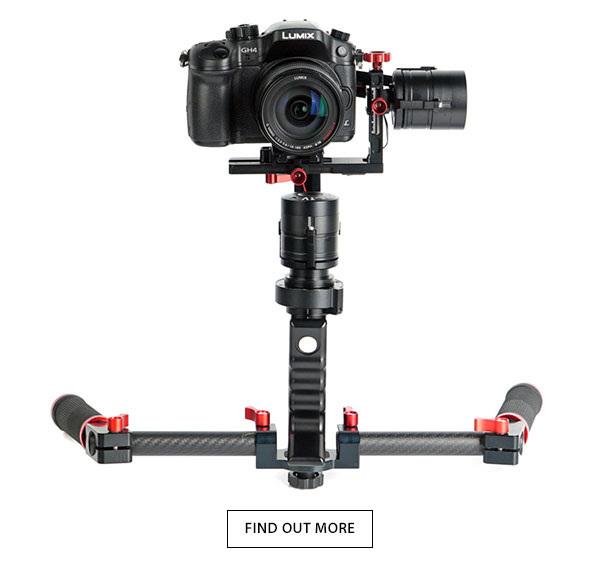 Tags: 14-42mm, 3-axis, 3-axis gimbal, 3axis, came gimbal, came-mini 2, came-mini gimbal, came-mini2, came-tv, came-tv gimbal, cametv, gh4, gimbal, gopro, gopro hero 4 black, hero 4, Instagram, lumix, mini2, panasonic, Panasonic Gh4, portable gimbal, tool-less gimbal on April 25, 2016 by CameAdmin. INSTAGRAM: @happysoulwanderer testing out his new #cametv #single #gimbal on a recent shoot with his #Sony #A7Rii! Posted in CAME-Single, Instagram. 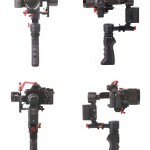 Tags: 3-axis, 3-axis gimbal, 3axis, a7r2, A7RII, basecam, came gimbal, came-single, came-tv, came-tv gimbal, cametv, encoders, gimbal, Instagram, portable gimbal, single, sony, sony a7rii, tool-less gimbal on April 25, 2016 by CameAdmin. 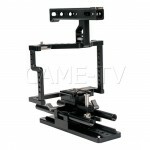 New Reduced Price For The CAME-TV Single Gimbal! Posted in Blog, CAME-Single. 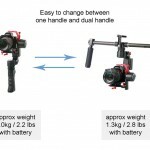 Tags: 3-axis, 3-axis gimbal, 3axis, basecam, came gimbal, came-single, came-tv, came-tv gimbal, cametv, dual gimbal handles, encoders, gimbal, handes, portable gimbal, price, reduced price, single, small gimbal, tool-less gimbal on April 25, 2016 by vision. 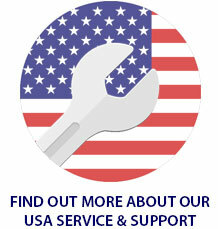 Do you sell spare parts for your CAME-TV product separately? 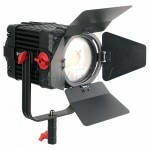 In general, yes we do sell most spare parts for many (but not all) of our CAME-TV products. For example, if you are in need of parts such as a replacement QR plate for your CAME-TV gimbal, or a spare power adapter for your LED light, then fill out this form and one of our associates will contact you to let you know if your requested part is available for purchase. Instead of sending a video link as requested on the form, you can send a link to an image for the part that you are in need of. If you are requesting a part that you've lost and cannot take a picture of it to send. Then you can go to that item's product page on our website, download a picture, and simply highlight or circle the specific part that you are in need of. Once you have the image ready, create a shareable link (ex: via imgur, Dropbox) out of it and include it when contacting our technical support staff. 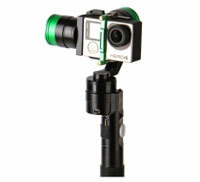 Posted in CAME-7000, CAME-7500, CAME-7800, CAME-8000, CAME-Action, CAME-H4 Stabilizer, CAME-Mini, CAME-Single, FAQ. 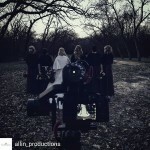 Tags: 3-axis, 3-axis gimbal, 3axis, 8000 gimbal, A7sII, came-single, Instagram, panasonic, tool-less gimbal on April 22, 2016 by r p.
Posted in CAME-Single, Instagram. 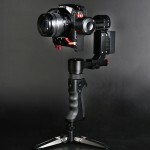 Tags: 3-axis, 3-axis gimbal, 3axis, basecam, came gimbal, came-single, came-tv, came-tv gimbal, cametv, encoders, gh4, gimbal, panasonic, Panasonic Gh4, portable gimbal, single, tool-less gimbal on April 18, 2016 by vision. Youtube user, Jsfilmz, uploaded this quick video of some test footage he shot with the CAME-TV Single and Blackmagic Micro Cinema Camera with a Tokina 11-16mm lens! 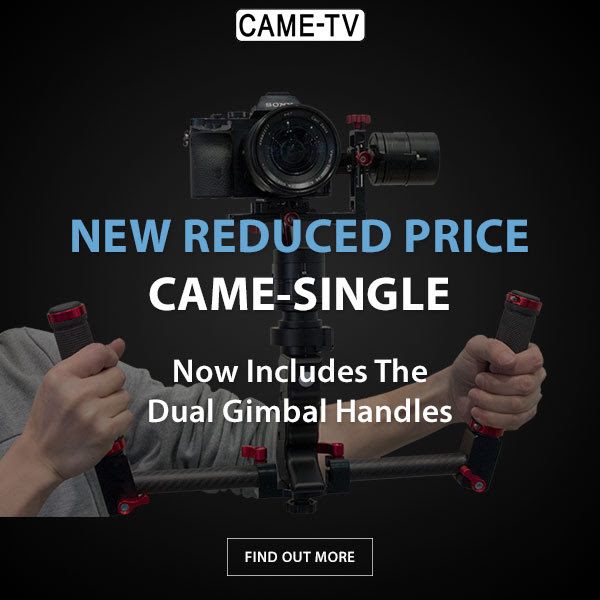 The CAME-Single gimbal has a max payload of roughly 2.6 lbs and is perfect for camera setups like the Panasonic GH4, BMPCC, BMMCC and the Sony A7s/A7r series cameras. The CAME-Single is designed to be used one handed and is extremely portable while its packed in the hard case that it comes in. Posted in Blog, CAME-Single. 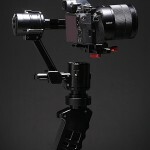 Tags: 11-16mm, 3-axis, 3-axis gimbal, 3axis, basecam, blackmagic, blackmagic micro cinema camera, bmmc, BMMCC, came gimbal, came-single, came-tv, came-tv gimbal, cametv, cinema camera, encoders, gh4, gimbal, micro, panasonic, Panasonic Gh4, portable gimbal, single, sony, tokina, tokina 11-16mm, tool-less gimbal on April 18, 2016 by vision. INSTAGRAM: @afiqshahadnan on set with his ‪#‎cametv‬ ‪#‎single‬ ‪#‎gimbal‬ and ‪#‎sonyA7s‬ with a ‪#‎Sony‬ 16-35mm lens! @afiqshahadnan on set with his #cametv #single #gimbal and #sonyA7s with a #Sony 16-35mm lens! 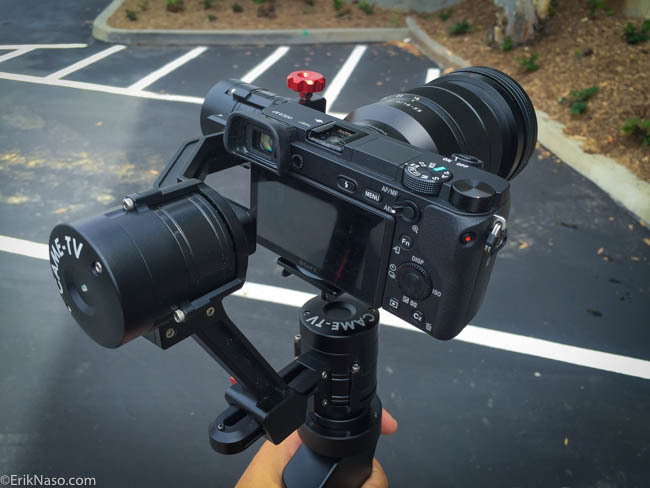 With my Sony A7s and 16-35mm f4 lens.. Not to forget my Came Gimbal Single. Posted in CAME-Single, Instagram. 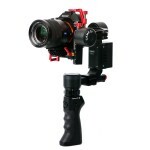 Tags: 16-35mm, 3-axis, 3-axis gimbal, 3axis, a7s, basecam, came gimbal, came-single, came-tv, came-tv gimbal, cametv, encoders, gimbal, Instagram, portable gimbal, single, sony, sony 16-35mm, Sony A7s, tool-less gimbal on April 15, 2016 by CameAdmin. 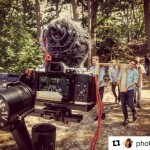 INSTAGRAM: @flolinemedia filming some footage for the ‪#‎wnba‬ with his ‪#‎cametv‬ ‪#‎single‬ ‪#‎gimbal‬ and ‪#‎panasonic‬ ‪#‎gh4‬! @flolinemedia filming some footage for the #wnba with his #cametv #single #gimbal and #panasonic #gh4! Posted in CAME-Single, Instagram. 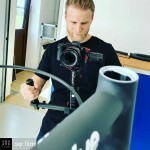 Tags: 3-axis, 3-axis gimbal, 3axis, basecam, came gimbal, came-single, came-tv, came-tv gimbal, cametv, encoders, gh4, Instagram, panasonic, Panasonic Gh4, portable gimbal, single, tool-less gimbal on April 15, 2016 by CameAdmin. 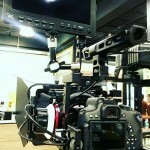 Youtube user, Erik Naso, uploaded this quick test run he did with the CAME-Single gimbal! 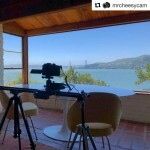 Along with the test video, he wrote up a very detailed article about his experiences with the CAME-Single paired with the Sony a6300 and Sony 16-35mm lens. In the article he does mention that he had to modify the Single's QR plate because the 16-35mm lens barrel was hitting the plate. 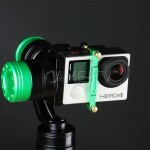 His workaround was to add two washers to the QR plate to raise the camera up slightly, so that the lens barrel clears. We encourage you to check out his article, which you can read here. A couple of things I like a lot about the CAME-TV Single is I didn’t need any tools to balance it and no software tweaks to get it to work right. This is a huge time saver in the field. Posted in Blog, CAME-Single. 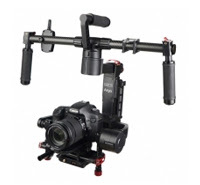 Tags: 16-35mm, 3-axis, 3-axis gimbal, 3axis, a6300, came gimbal, came-single, came-tv, came-tv gimbal, cametv, encoders, gimbal, portable gimbal, single, sony, sony 16-36 mm, sony a6300, tool-less gimbal on April 15, 2016 by vision. 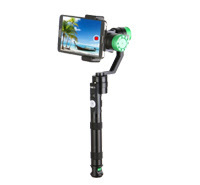 A few customers have reported that their recently purchased Mini-3 gimbal did not have an instructional manual that came with it. For those who are in need of it, you can find an online version of the manual available for viewing & download here. Also, below is a video by YouTube reviewer MrCheesycam who does a very thorough overview of the Mini-3. 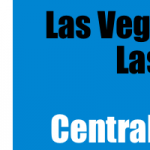 Posted in CAME-Mini, FAQ. 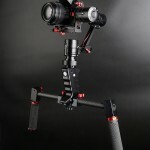 Tags: 3-axis, 3-axis gimbal, 3axis, came mini-3 gimbal, came-mini, came-mini 3, came-mini gimbal, mini 3, mini 3 gimbal on April 14, 2016 by r p.
We've received a few reports from CAME-Single customers who are experiencing problems pairing their CAME-Single with the wireless bluetooth remote . 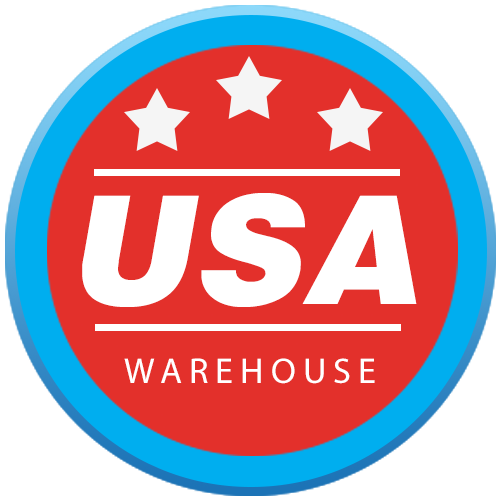 Please first note that all gimbals leave the warehouse pre-paired, and should NOT require this process. 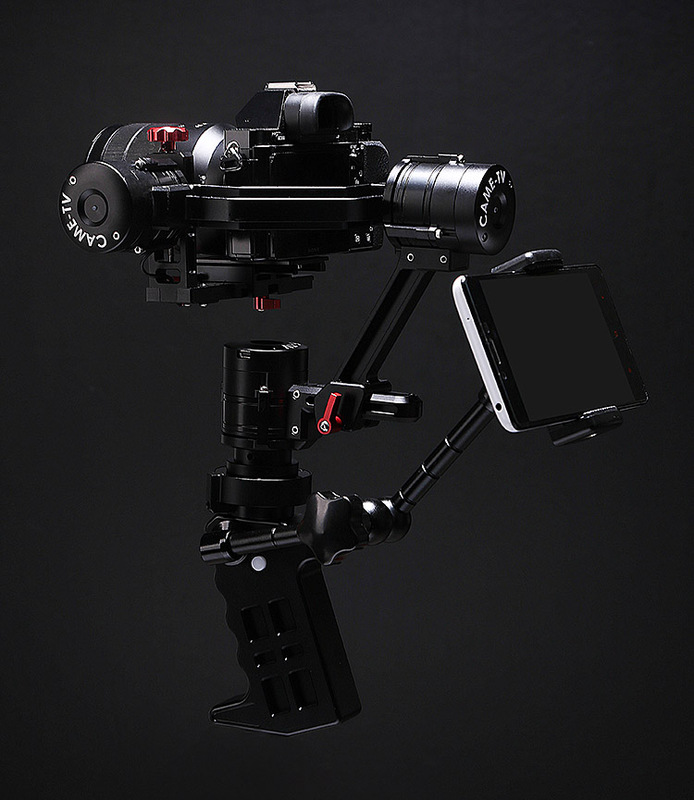 However, for those experiencing the problem of not having their gimbal & remote paired right out of the box, please follow the video below for a few additional steps on how to manually do so. 1. Find a small metal stick like a paper clip to use as your main tool. 2. Make sure your wireless remote receiver is properly installed in your Single. 3. Power on both your Single and remote. 4. Poke the metal stick into the remote's center hole for about 5 seconds. 5. Poke the metal stick into the tiny hole on the Single's handle & hold it there. Move the joystick around and the gimbal should eventually respond to the joystick movements (this could take a few minutes). 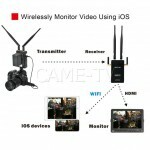 Lastly, if you have problems pairing the newer CSWR-4 remote, please follow the process shown in the video below to sync it with your gimbal. Posted in CAME-Single, FAQ. 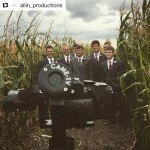 Tags: 3-axis, 3-axis gimbal, 3axis, came gimbal, came-single, single on April 14, 2016 by r p.
INSTAGRAM: @privatesalesescorts filming their ‪#‎YouTube‬ mini series with the ‪#‎cametv‬ #7800 ‪#‎gimbal‬ and ‪#‎canon‬ ‪#‎5dmk2‬ with a ‪#‎Vintage‬ ‪#‎Nikon‬ lens! 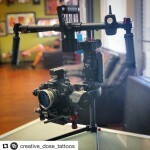 @privatesalesescorts filming their #YouTube mini series with the #cametv #7800 #gimbal and #canon #5dmk2! Posted in CAME-7800, Instagram. 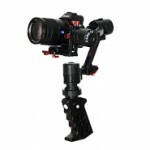 Tags: 3-axis, 3-axis gimbal, 3axis, 5dmk2, 5dmkii, 7800, 7800 3 axis gimbal, 7800 gimbal, came gimbal, came-7800, came-tv, came-tv gimbal, cametv, cametv 7800, canon, canon 5dmk2, Instagram on April 14, 2016 by CameAdmin. 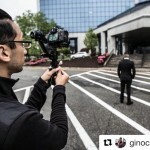 INSTAGRAM: @maxsyder shooting a promo video with his ‪#‎cametv‬ ‪#‎mini‬ ‪#‎gimbal‬ and ‪#‎OlympusOMD‬ with an ‪#‎Olympus‬ 12-50mm lens! 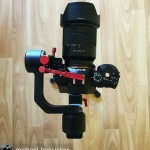 @maxsyder shooting a promo video with his #cametv #mini #gimbal and #OlympusOMD with an #Olympus 12-50mm lens! Posted in CAME-Mini, Instagram. 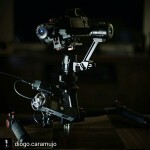 Tags: 12-50mm, 3-axis, 3-axis gimbal, 3axis, came gimbal, came-mini, came-mini gimbal, came-tv, came-tv gimbal, cametv, gimbal, Instagram, mini, olympus, olympus 12-50mm, olympus OM-D, omd, portable gimbal, small gimbal on April 13, 2016 by CameAdmin.